Learn to creatively express yourself through painting flowers with Carrie Schmitt. 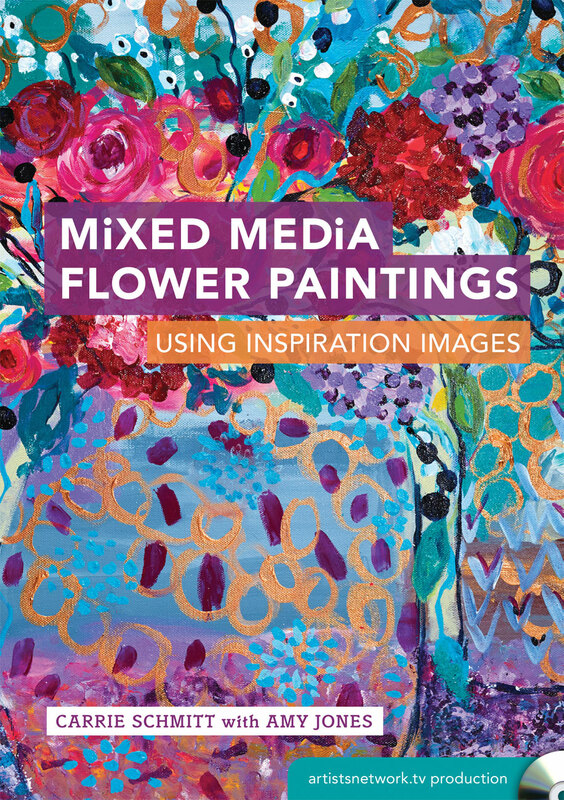 Join Carrie Schmitt in developing your personal style through painting mixed-media flowers in this exclusive bundle! There is no better way to express yourself than through art and with the Mixed-Media Painted Blossoms Bundle you will learn to do so by painting flowers. Enjoy Carrie Schmitt's three new video workshops that will help you develop your style and infuse your personality into your paintings. Plus get an additional lesson from Carrie in the Cloth Paper Scissors July/August issue. This bundle would not be complete without the Golden A-Z Acrylic Set to start experimenting with paint right away. This exclusive offer won't last long! Order now while supplies last. 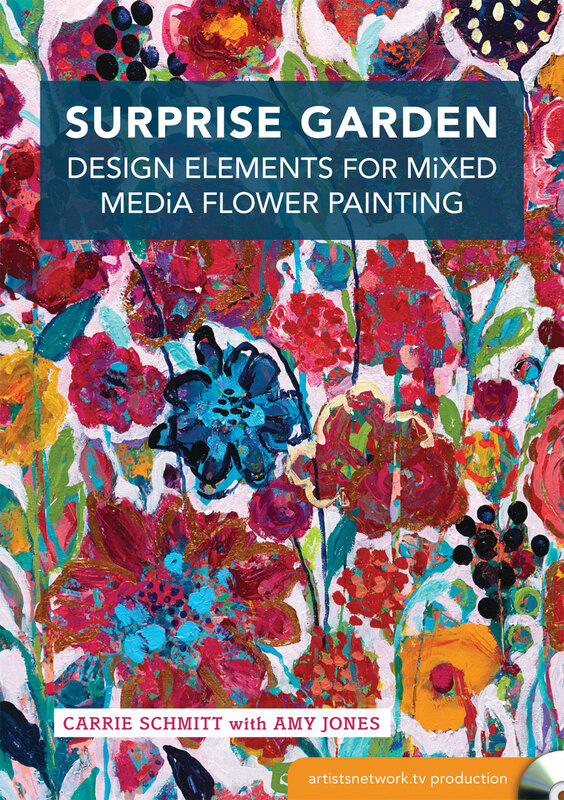 Create fabulous flower paintings by combining design elements infused with your personality in this video workshop from Carrie Schmitt. Start off with a lesson on design and then experiment with painted layers and discover the elements you are most drawn to. Combine your favorite design elements to create stunning floral designs in your signature style. Along the way you will expand your creativity as you paint with mixed-media tools and allow a playful composition to emerge in an explorative way. Create captivating art infused with your unique style with Mixed Media Flower Paintings with Carrie Schmitt and Amy Jones. Carrie Schmitt will teach you to paint floral paintings while interpreting inspirational images and honing your observational skills. Learn techniques for layering, avoiding muddy colors while working wet-into-wet, using masking fluid and mark making tools. Along the way Carrie will help you move forward when you hit a creative block and show you how to bring the painting together with final details. 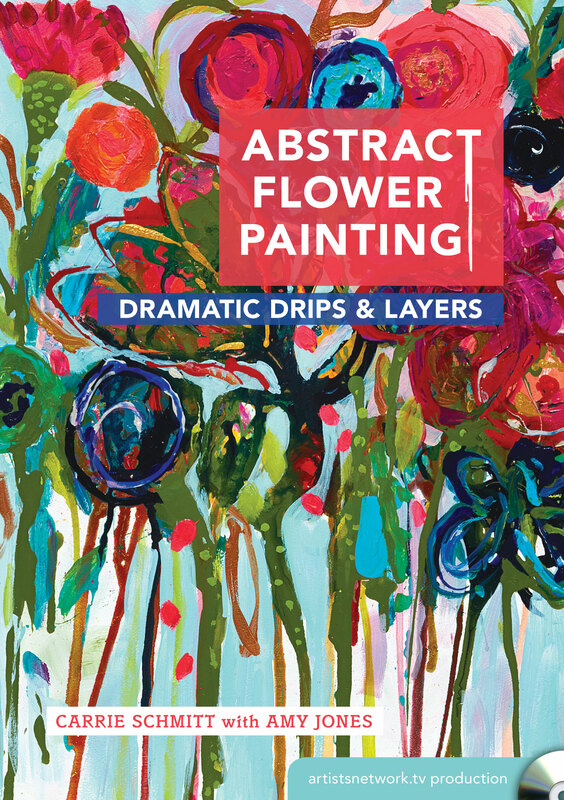 Let the unpredictability of water help you create abstract flower paintings in this video workshop from Carrie Schmitt. Begin with a lesson on preparing your Aquabords as a substrate, then follow Carrie's techniques for adding your first layer of paint with drips and sprays of water to create flowing effects. As you up build layers you'll learn techniques for etching, adding texture, adding masking fluid, and learn to identify the composition. In the end you will have created carefree art with dramatic drips and luscious layers. As artists, we're so lucky to access the endless inspiration that nature offers and let it work its way into our artwork. 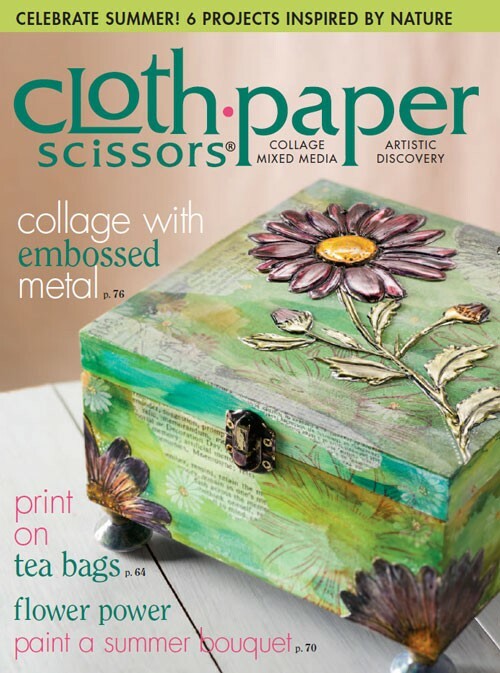 In this issue of Cloth Paper Scissors you'll see how many mixed-media artists have used flowers, animals, and landscapes as inspiration for painted canvas, collages, and fiber art while offering a glimpse into their creative process. 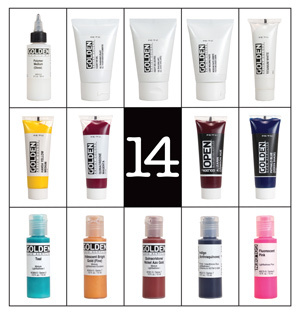 Experiment with Golden acrylics this this 14 piece set workshop-in-a-box. By following the instructions provide you will experience the unique properties of Heavy Body, Fluid, OPEN, and High Flow Acrylic Colors as well as a range of Pastes, gels, and mediums.